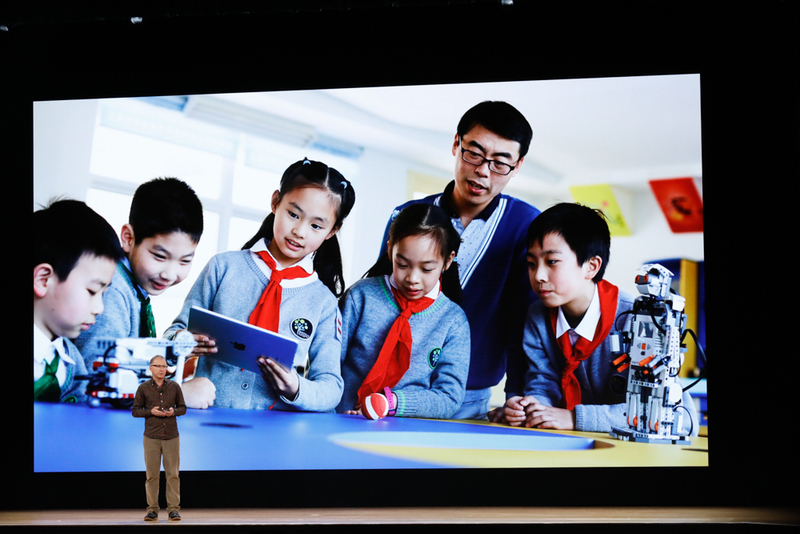 "We had a unique insight into how technology could inspire kids to unleash their creative genius. 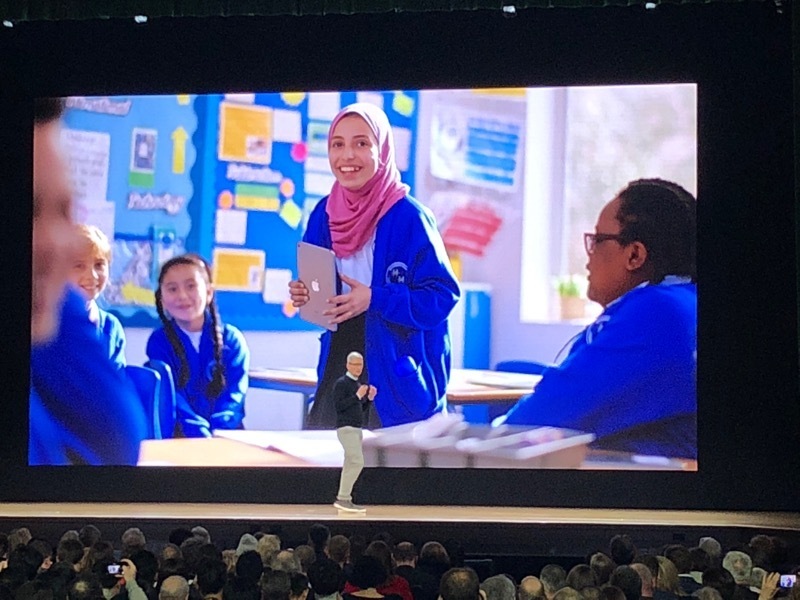 And we believed that technology could help teachers deliver a unique and personalized learning experience to all kids. We've never stopped believe this, and we've never stopped working on it." 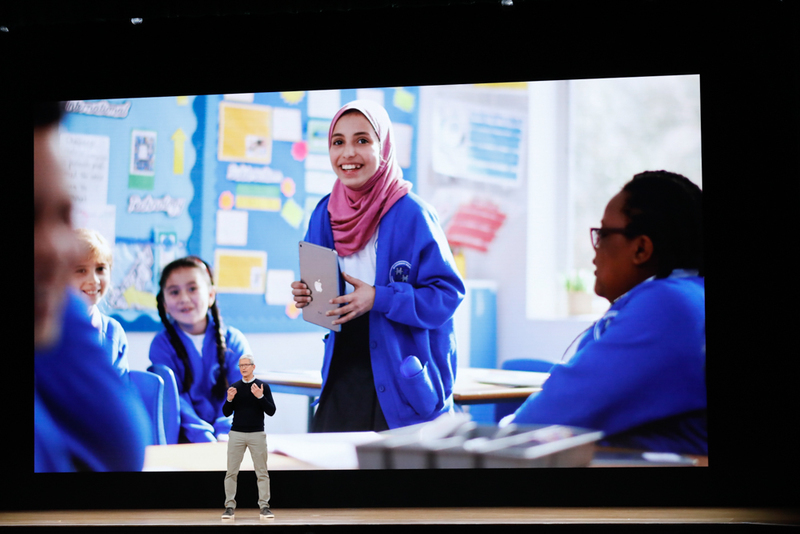 "It's why we created a 10-year study called Apple Classrooms of Tomorrow that showed engagement increased exponentially for students and teachers who had access to our products." 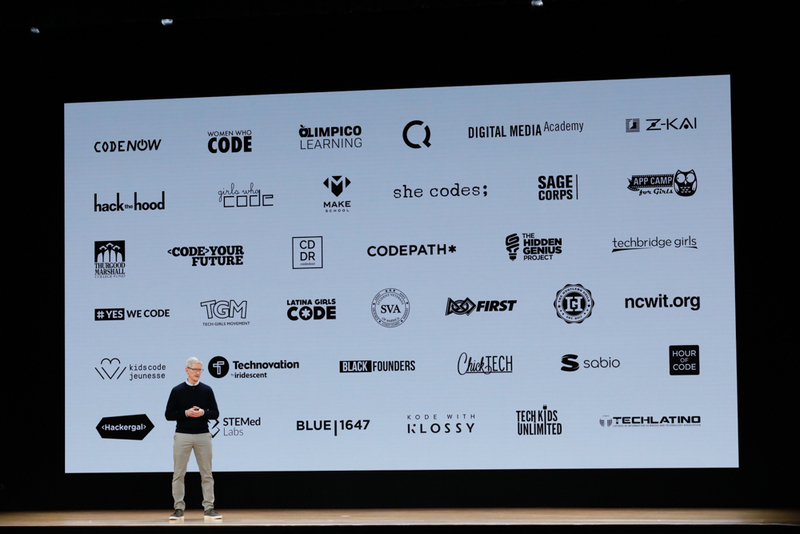 "We're also working with 40 STEM organizations around the world to bring coding to even more kids of all backgrounds"
Now hearing about classroom experiences using Apple products. 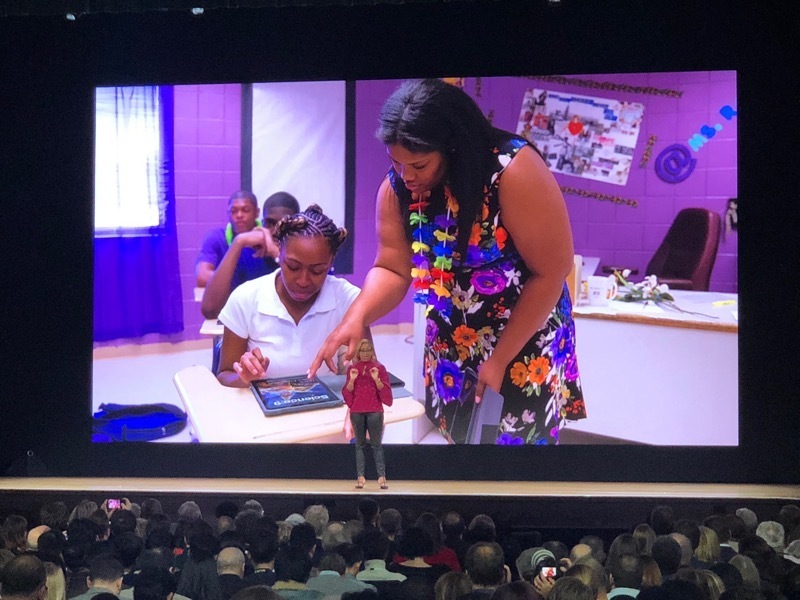 "They took ownership of their learning and now their digital projects will be showcased at the Library of Congress for the entire world to see." Veteran’s History project created in conjunction with Library of Congress being discussed. Students used iPads to study and report. Library of Congress showcasing the student work. 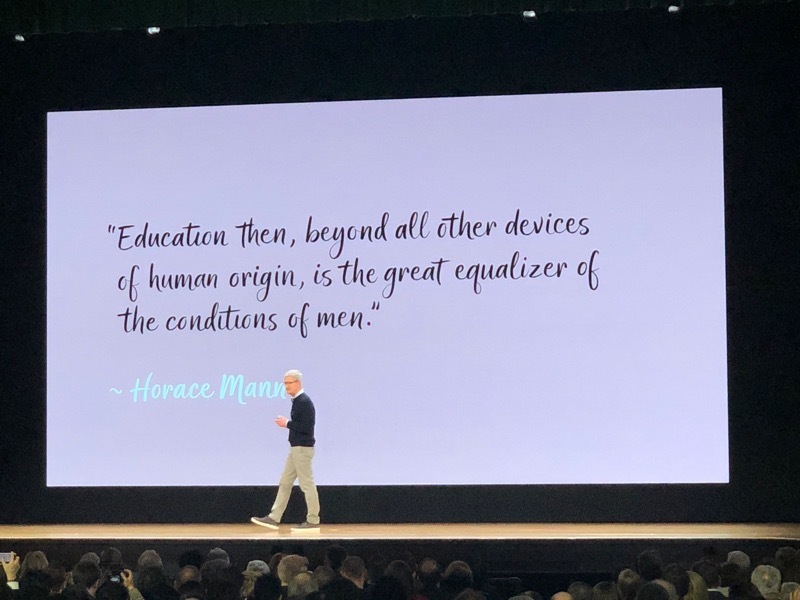 "Working with students and teachers constantly reminds us of the words of Horace Mann"
"Today we're going to take those experiences even further and to start it off we're going to talk about iPad"
iPad leading off. 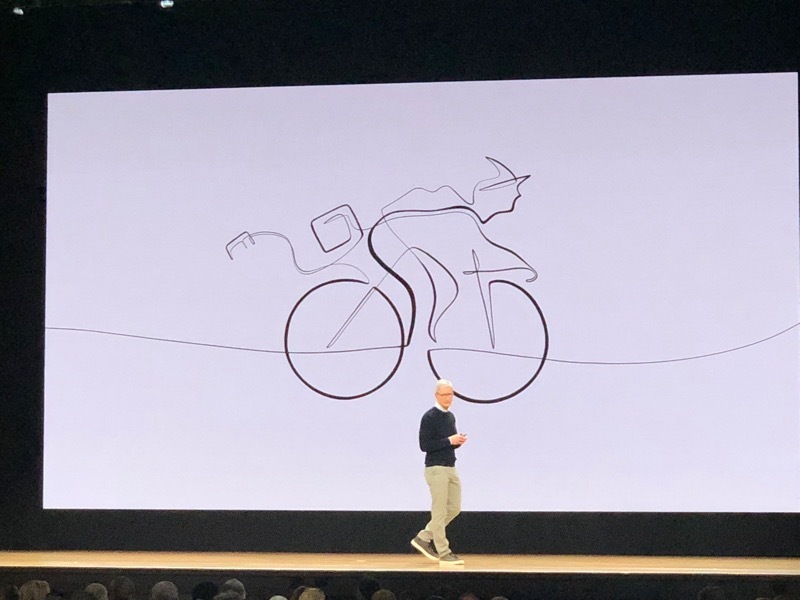 Greg Jozwiak on stage. 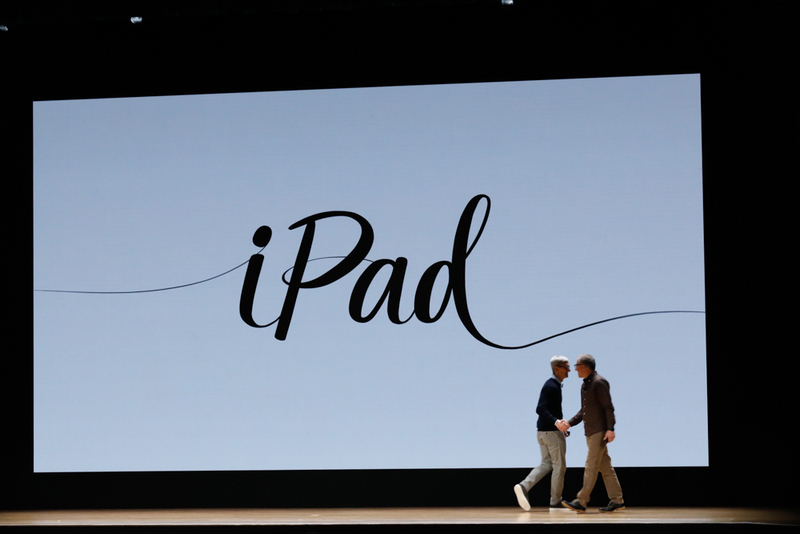 "We're proud to make the very best products for unleashing this productivity." 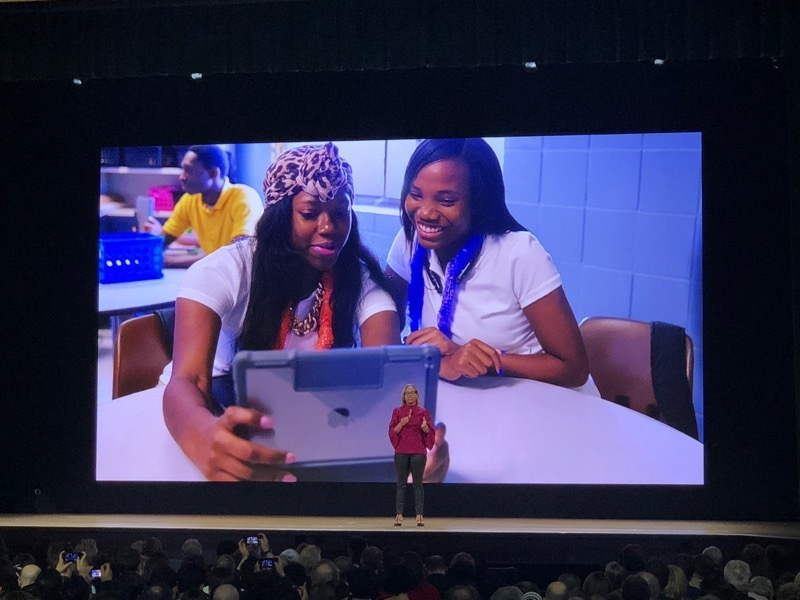 "Students and teachers alike love the iPad. They love that it's so easy to use ... It feels like an extension of their minds." 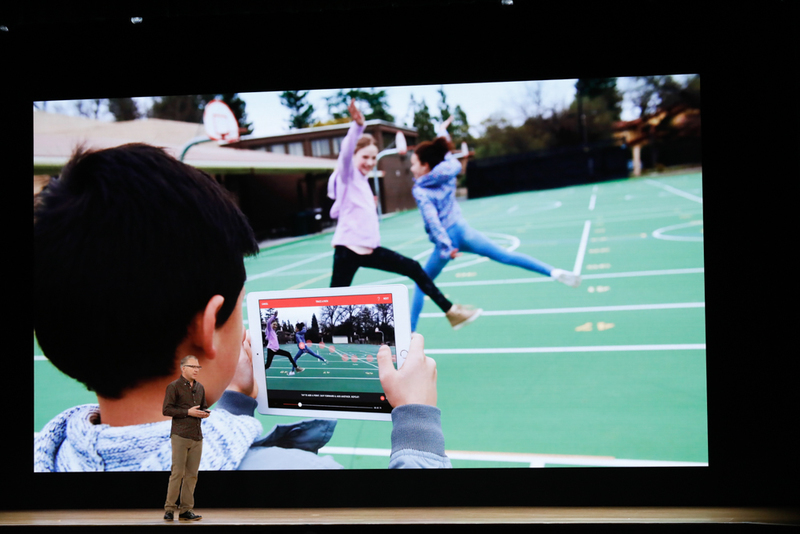 "They love the iPad because it's super portable." 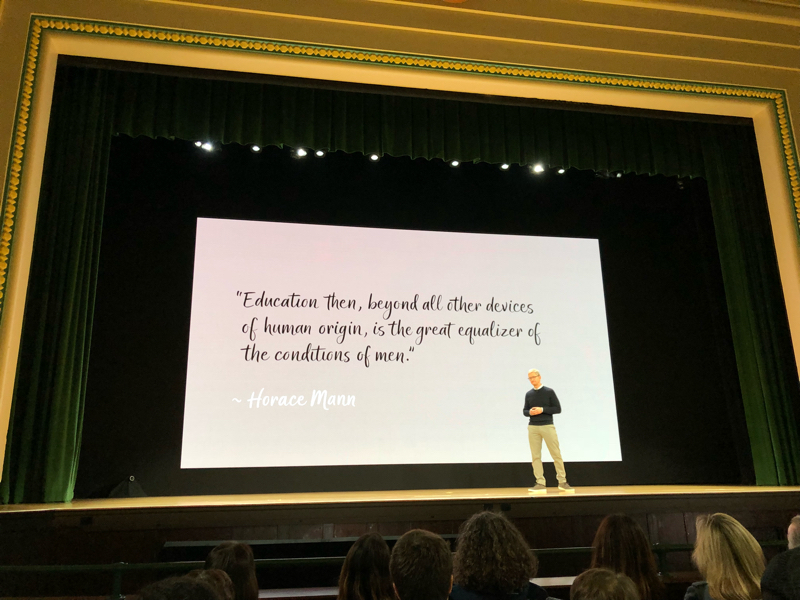 "Today learning happens everywhere, even where there might not be a desk." 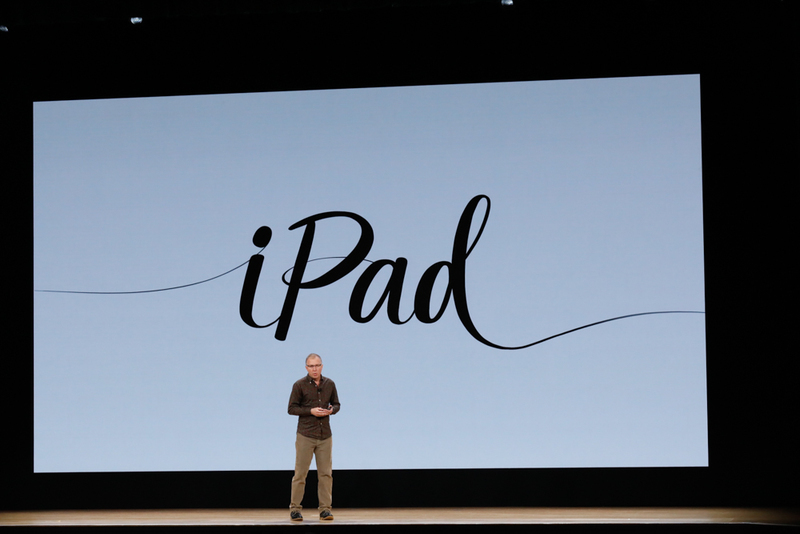 "They love iPad because it's so versatile." 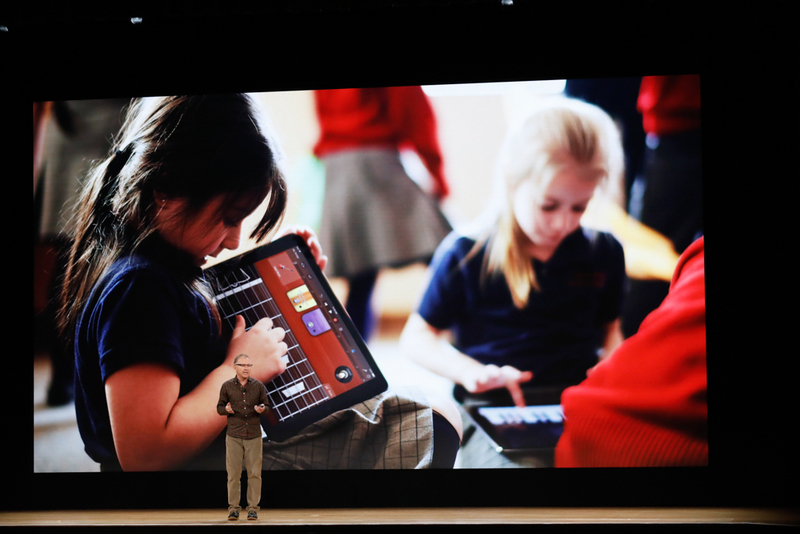 "They love iPad because it comes with amazing built-in apps for productivity." 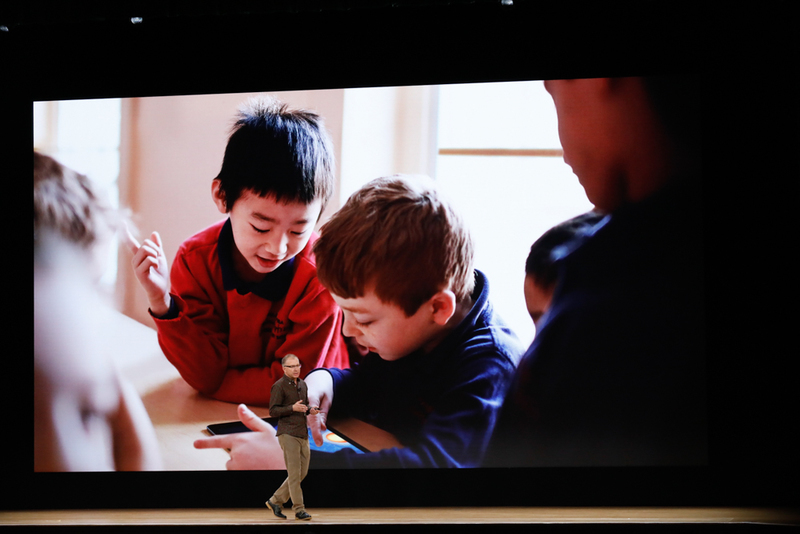 "There's nothing like these creativity apps on any other device." 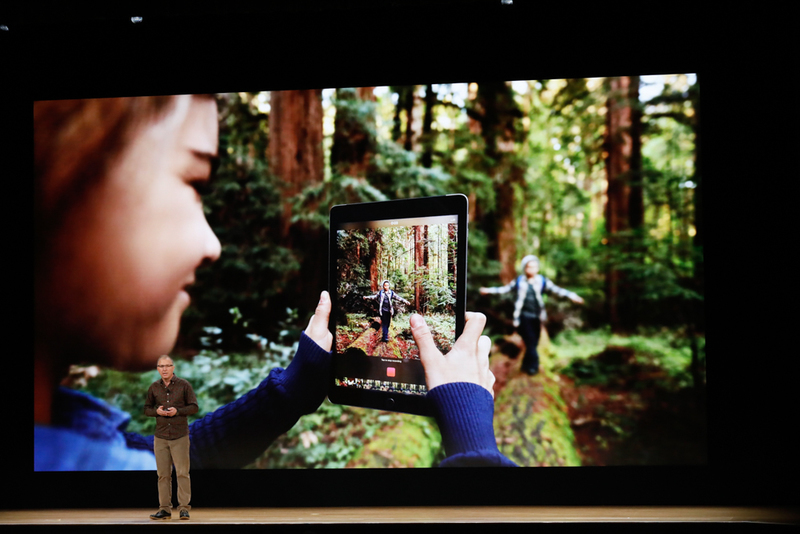 "They also love that the iPad can do a million other creative things."